Ink on 14" x 17" bristol. 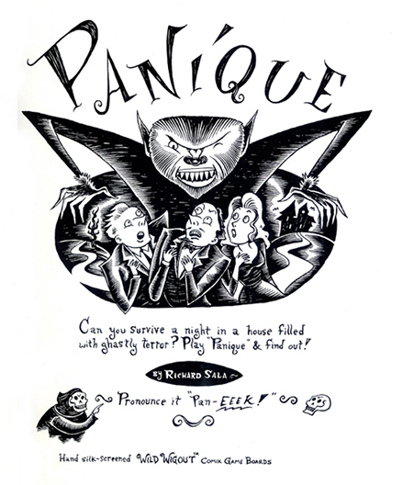 This is the original art for the cover of the limited board game "Panique". You can read the details on my blog here -- http://hereliesrichardsala.blogspot.com/2011/07/panique.html Will be neatly signed.